Hey guess what time it is! 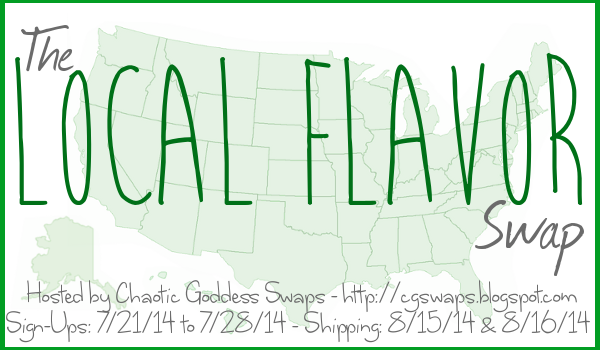 Sign up time for Chaotic Goddess' Local Flavors swap! Last year's Local Flavors swap was the first Chaotic Goddess swap I had ever participated in, and I must admit, I didn't get the concept 100%. My partner was Beth from Living a Goddess Life and she sent me a great box and she just rolled with what I had sent her. :) So, I'm looking forward to doing it 100% right this time around. Basically, the goal is to give people a taste of your local flavor and send them a package with at least five items that are local to your state or area. Your partner will do the same for you. So, here's the deal. Sign ups are open until July 28. 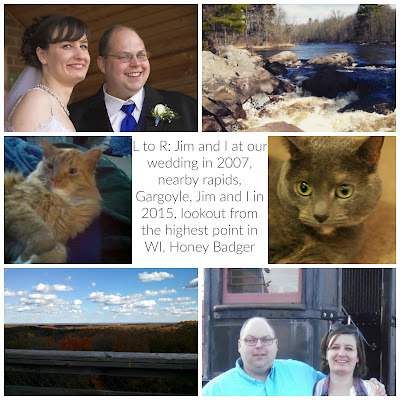 If you blog and want to join up, just click the picture and register. Once you're accepted, you post a post saying your participating (like this) and then just wait to find out who your partner is. I've met a lot of great bloggers through these swaps and they're always so much fun so if you're even thinking about it, just go for it! And I'm so glad you're participating in it again.